While both are very good all-season tents, the Nammatj is better suited for extreme weather while the Nallo has an emphasis on lighter weight. 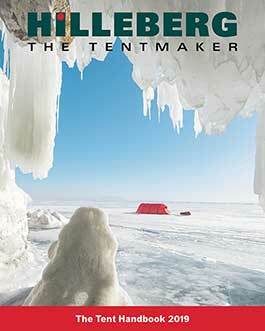 The Nallo uses the lighter weight Kerlon fabric on the outer tent and a lighter weight groundsheet material. The quality of both these fabrics is higher than standard; they are just a lighter version of what the Nammatj uses. The Nallo has a large vent integrated into the entrance with various venting options. It also has a fabric backed mesh vent on the back of the inner tent and an option to zip open and roll up the back of the outer tent for more airflow. The Nammatj has a more protected entrance with two large vents with guy lines on each end. The Nammatj also has a vent on the back of the inner tent with access to adjust the outer vent. The Nammatj GT adds a mesh door to the outer tent entrance which the Nallo GT does not have. The Nallo is more streamlined in appearance because it has a shorter rear pole which helps reduce weight. For longer, more demanding winter expeditions and high altitude use we usually recommend the Nammatj over the Nallo, but the Nallo is one of our most popular and award winning models and is still a very strong and weather proof all season tent.